The RelateCare QUIT team are fully trained cessation support staff – all have successfully completed the NCSCT Standard Treatment Programme training and Stop smoking behavioural support by phone training. The team delivers stop smoking behavioural support via phone, web and social media. The service is always delivered in a friendly, positive, supportive and non-judgemental manner. 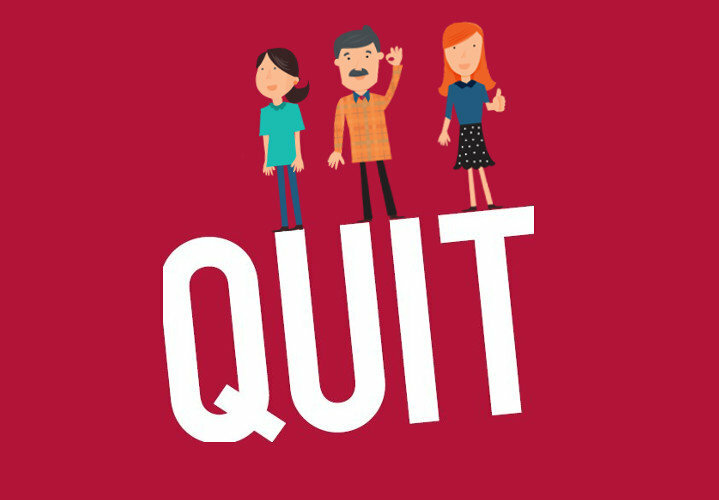 The QUIT programme is a standard treatment programme that uses behavioural support and evidence based stop smoking medication and treatments to support smokers through their quit attempt. The programme begins with a “Pre-quit consultation”. 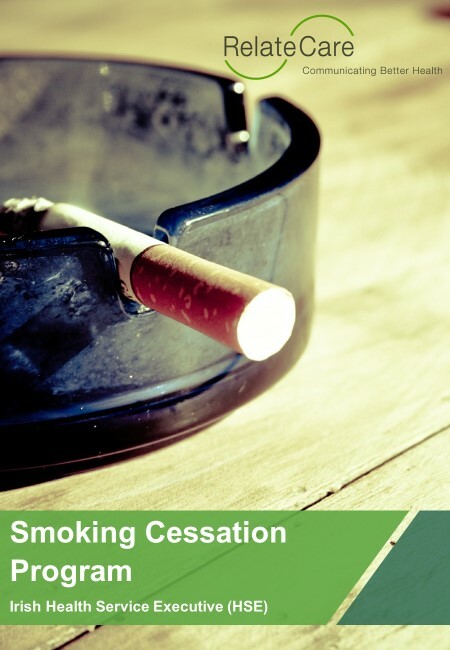 This explores with smokers their reasons for wanting to quit, what techniques they can use to help with a quit attempt, the types of evidence based stop smoking medication and treatments available, their readiness to set a quit date and the steps they need to take to be ready to quit on that day. Clients are encouraged to join our facebook page and use the information on www.quit.ie also. We encourage clients to ring the service in between the scheduled calls if they feel the need for extra support. 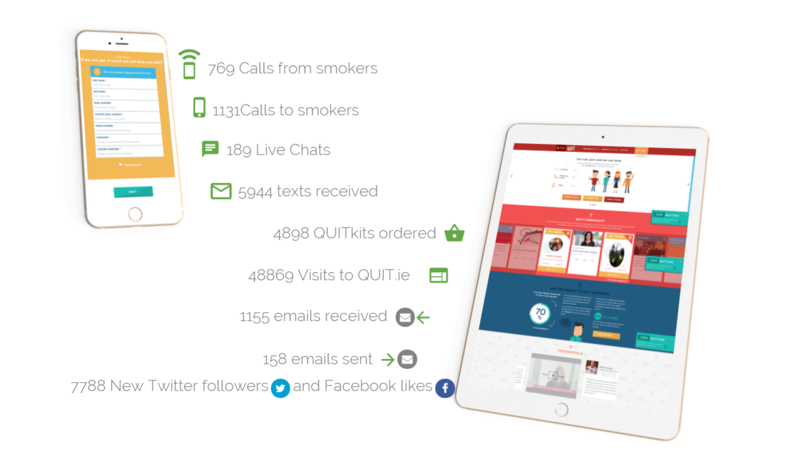 Since 2014, RelateCare has been entrusted by the HSE to manage it’s QUITlink smoking cessation multi-channel advice and support hotline. 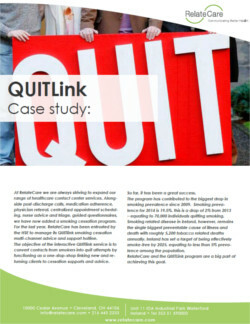 The objective of the interactive QUITlink service is to convert contacts from smokers into quit attempts by functioning as a one-stop-shop linking new and returning clients to cessation supports and advice. The program has contributed to the biggest drop in smoking prevalence since 2009. Smoking prevalence for 2014 is 19.5%, this is a drop of 2% from 2013 – equating to 70,000 individuals quitting smoking.